The struggle against state capture and corruption in South Africa is a struggle for human rights. This is why the current revelations at the commission of inquiry into state capture (the Zondo commission) are important – they lay bare the various networks of looters in the public and private sector who have criminally enriched themselves at the expense of the many. The consequences of the looting have been dire. It has undoubtedly contributed to poverty and unemployment and extends beyond a financial loss. An indication of this is that over 2.8 million people were pushed into poverty between 2011 and 2015. The capacity of the state has been severely eroded as evidenced by the escalating levels of load shedding by Eskom. In addition, South Africa has had to grapple with a weaker economy, a continued revenue short-fall and dysfunctional state-owned entities that are bleeding the fiscus dry. It is unconscionable that constitutionally enshrined human rights such as health care, social security, housing and basic education, to name only a few, have been compromised because of the actions of corrupt individuals. The establishment of the commission is in large part due to the active role played by civil society, whistle-blowers and journalists in exposing state capture and highlighting its impact on the lives of South Africans. 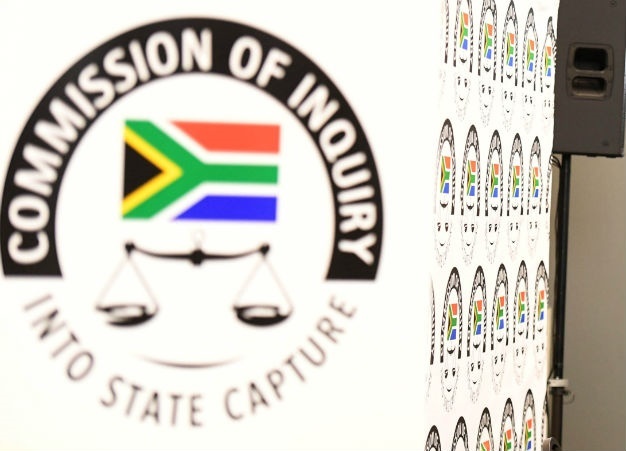 With the Zondo commission underway, more than 20 civil society organisations have come together to establish a "civil society working group on state capture". This working group is committed to ensuring accountability for economic crimes by the business and political elite linked to state capture. We believe that an impactful outcome at the Zondo commission requires active engagement by civil society which is both supportive of the commission's work and, where necessary, critical of its shortcomings. Civil society organisations have submitted or are preparing submissions. These have the potential to inform the investigations of the commission and remind the public of the nature of these criminal networks and the impact they have had on efforts to tackle social injustice. This includes the risk of a repeat of the state capture project in the future unless we as citizens insist that our constitutional institutions are insulated from political interference. These submissions are intended to also test the resolve of the commission to fully investigate and expose the state capture networks; and find appropriate recourse to get the country back on the path to realising the aspirations outlined in the Constitution. The working group is also committed to following up on the recommendations that emanate from the Zondo commission, especially with regard to further investigations, prosecutions and remedial action aimed at strengthening institutions of governance. On Human Rights Day, we commemorate the courageous lives of those who struggled for our freedom at Sharpeville. Their memory is defiled by many of our current political leaders. We are deeply disturbed by the inclusion of many politicians named at hearings of the Zondo commission on political party lists for the national and provincial legislatures. By doing so, political parties risk carrying the architects of state capture back into the heart of the sixth democratic government. Their presence on party lists makes it difficult for voters who believe in constitutional values and rule of law to vote for the parties concerned. We therefore call on all political parties to use their discretion to remove these people from their lists immediately. Our struggle for social justice and human rights will not be realised if those who loot with impunity in the public and private sector remain unaccountable. AIDC – Alternative Information and Development Centre; AKF – Ahmed Kathrada Foundation, Black Sash; BJC – Budget Justice Coalition; CALS – Centre for Applied Legal Studies; CASAC- Council for the Advancement of the South African Constitution; Centre for Change – The Centre for Change; CST – Centre for Complex Systems in Transition, CW – Corruption Watch; DOI – Dullah Omar Institute; DPRU – the Development Policy Research Unit; EE – Equal Education; EELC – Equal Education Law Centre; FUL – Freedom Under Law; HSF – Helen Suzman Foundation; MIRA – Managing Infrastructure Investment Reform and Regulation in Africa; MVC – My Vote Counts; OUTA – Organisation for Undoing Tax Abuse; PARI – Public Affairs Research Institute; PPLAAF – Platform to Protect Whistleblowers in Africa; S27 – Section27; SANEF – South African National Editors Forum; SAFCEI – South African Faith Communities Environment Institute; R2K – Right to Know; TAC – Treatment Action Campaign; #Unitebehind; SACC – South African Council of Churches; OS – Open Secrets as the convenor of the civil society working group.